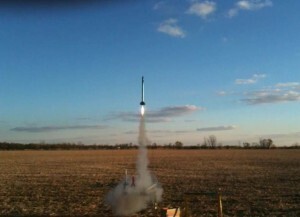 The Perseus X4 boosters “Columbia” and “Eagle” flew majestically on high power flights at the Team Ohio Rocketry Club (TORC) 2nd annual gathering in Springfield, OH. The last couple of attempts, first with “Columbia”, and secondly with “Zephyr” on an Aerotech E-15 avoided certain disaster after liftoff. Columbia “torqued” right after leaving the pad causing a kink int he airframe, which was later repaired, and Zephyr doing a loop at a similar point. 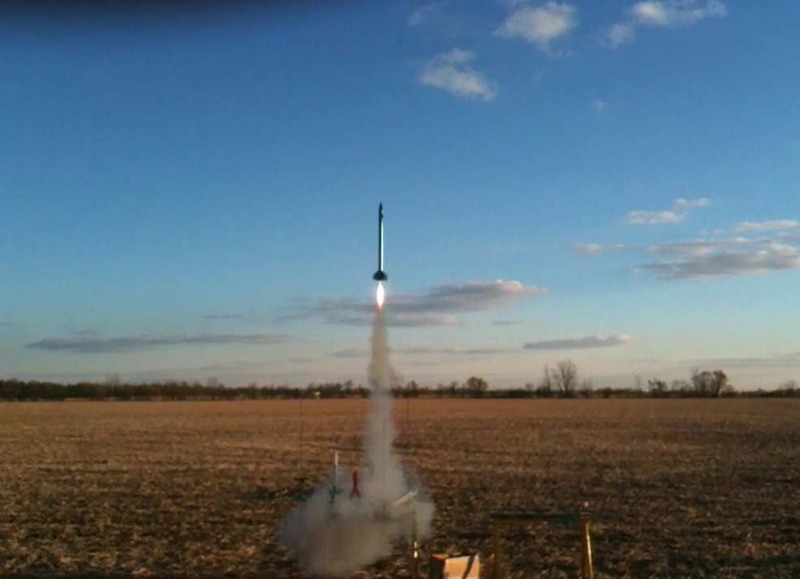 It was determined that the lower launch lug was catching on the launch rod, causing disruption int he flight patterns under higher impulse liftoffs. 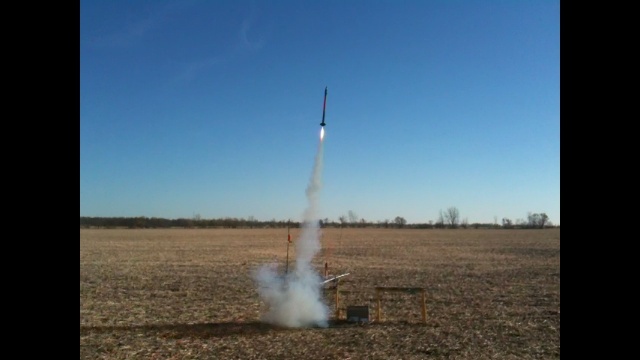 By mid afternoon November 6th, Columbia roared to the sky on step #1 above the E-9 barrier. on the Aerotech E-18 White lightning motor. Two flights were flown on the E-18 motor. Altitude reached was 1084 feet the first flight, 1184 the second. After that, it was time to test the Aurora X5 booster design under similar conditions. Omnia was prepared for flight. I was feeling confident after two successful flights of Columbia on the E-18 motor that the launch lug issues were solved. So the decision was made for a “GO” at the highest power possible on our current mid power boosters. The F-24 White lightning. Omnia flew two textbook wonderful flights on the F-24 motor, with a picture perfect flame. Both my iPhone camera and the camera aboard Omnia captured the moment nicely. Omnia reached an altitude of 1024 feet the first flight — along with a VERY early parachute deployment, and 1329 feet the second flight. 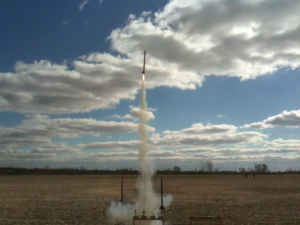 November 7th was the moment of truth for the Perseus boosters. both Eagle and Columbia were scheduled for their first flights on the F-24 motor. Eagle flew two higher power flights. The First of these flights was on the Aerotech E18-7, and reached an altitude of about 1100 feet. The second was on the F24-7. It was a great flight, but Eagle suffered a upper airframe zipper at parachute deployment after reaching an altitude of 1386 feet. Columbia flew our last flight of the day with mission # PLS-23 on the F24-7 motor with a picture perfect flight, and reaching an altitude of 1335 feet. All around, it was a VERY productive day of launching for us @ TORC Fest II. We have lots of videos from our launches TORC Fest on You Tube. Just do a search for our channel called “CPG Aerospace” and you’ll be all set!